You probably know, if you’re reading this, that Reno is cloaked in smoke from the fires in California. I’m absolutely devastated for the people who came to Lake Tahoe for the Iron Man race only to have it canceled because of the poor air quality. 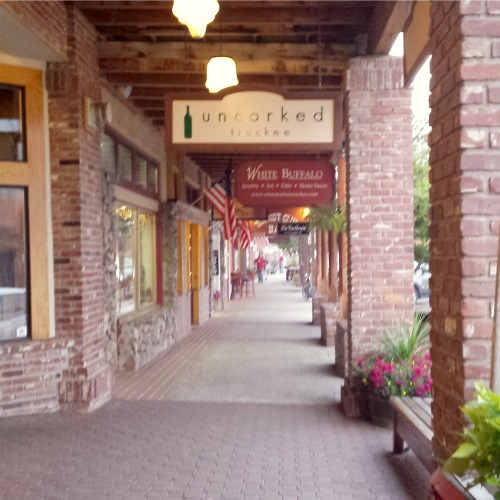 I actually did venture up to Truckee on Sunday to the Literary Arts and Wine reading at Uncorked. I can’t even imagine doing something like an Iron Man triathlon under those conditions. The Genoa Candy Dance is a 94-year-old tradition! It’s scheduled for this weekend and will host 300 venders of all kinds of unique goods–and also homemade candy. I’d love to make it down. I’ll take pictures for you if I do. When: Saturday and Sunday, September 25 and 26, 9 a.m. to 5 p.m.
Come catch a free movie at the El Rancho Drive-in. Looks like a lot of fun, with a free mechanical bull and live music. It looks like they’re playing Guardians of the Galaxy, Teenage Mutant Ninja Turtles, Planes Fire & Rescue, and Transformers. We haven’t seen Guardians of the Galaxy yet, so I think we’ll try to make this. When: Thursday, September 25. Gates open at 6 p.m. and movies start at dusk. Where: El Rancho Drive-in, 555 El Rancho Dr., Reno. Smithsonian Magazine is celebrating Museum Day by giving away two free tickets to participating museums. Anyone with an email address can download them! Here in Reno, the participating museum is the National Automobile Museum. My kids and I will be there! How much: Free! Visit the Smithsonian Magazine site to register and download your tickets. The Historic Reno Preservation Society is hosting the Reno Harvest of Homes Tour this weekend. The homes on the tour are amazing! When: Saturday, September 27, 10 a.m. to 3 p.m.
Where: There are five homes on the tour. This is a self-guided tour with volunteers at each home. Check out the website for more information. How much: $25 in advance, $30 the day off.